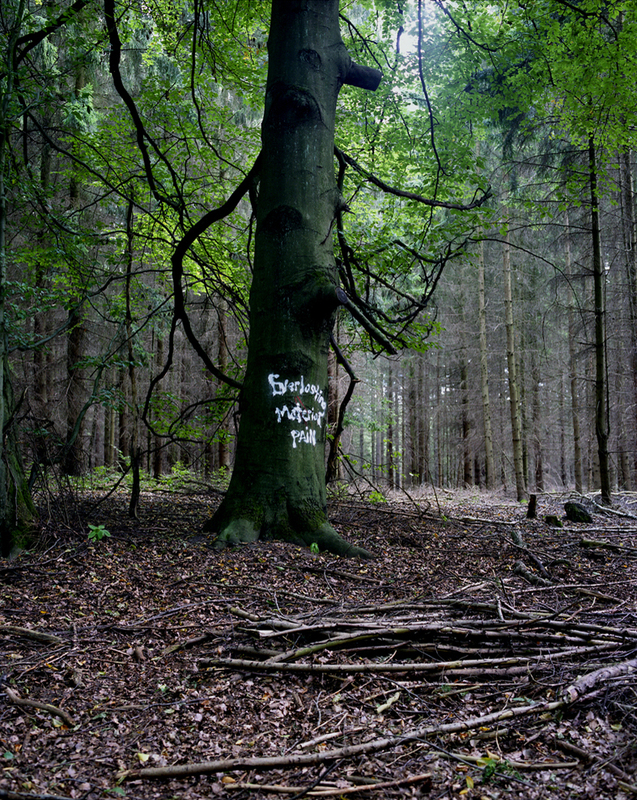 Trees, forests, and the relationship between trees and man, was the main theme of this exhibition project, which consisted of several photo series made in Norway and Germany, in particular the forests of the Unesco world heritage biotope in Schorfheide–Chorin, Brandenburg. The depictions varied from more classical studies of trees and branches to more staged images where I added objects and also writing to various tree trunks using dissolving chalk paint. The phrases sought to voice the tree's inner striving and imagined “thoughts”. Another series presented parts of the human body drawn on paper, such as arms, legs and feet, arranged and staged on dead tree trunks and decomposing roots in the forest. This series, entitled “Scattered Limbs 1–5”, merged human anatomy with the anatomy of the tree, an evocative reference to the imaginary pain and suffering of dying trees. In the series “Metamorphosis 1–4”, I gave each image an additional title: Der Baummensch (Tree Man), Der Sterbende Baum (Dying Tree), Schattenspiel (Shadow Play) and Abendrot (Sunset Glow). These images seek to merge man and trees on a more metaphysical level, with depictions relating to physical transformation and the mythical force of the forest. 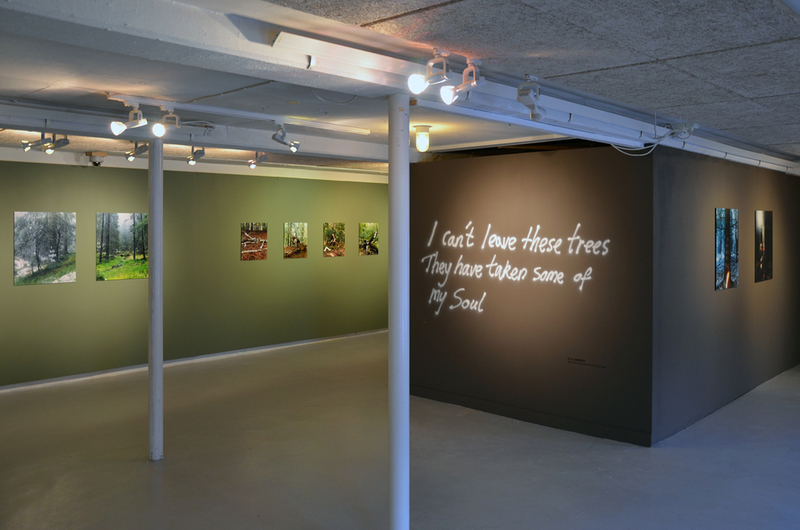 As a part of the exhibition at Hå Old Vicarage in 2012, a passage from D. H. Lawrence's 1922 novel “Fantasia of the Unconscious” was spray-painted on a gallery wall as a tag. The text was “I can not leave these Trees, They have taken some of my Soul”. This sentence influenced the way the audience experienced the exhibition as a whole and gave a key to interpreting the pieces on display.